Weather = rain all week. Yesterday, however, we had a brief interlude (remember when TV did those?) of sunshine. 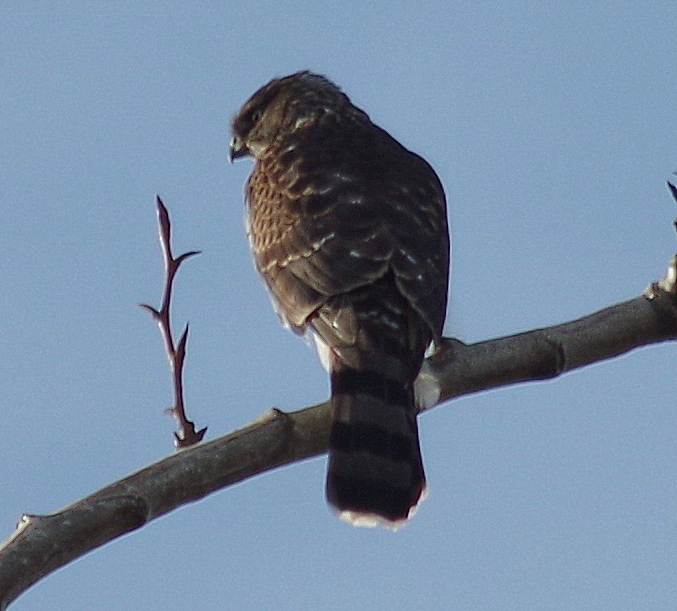 Off for a walk around the pond – we encountered first a Red Tailed Hawk, and then a Cooper’s Hawk. 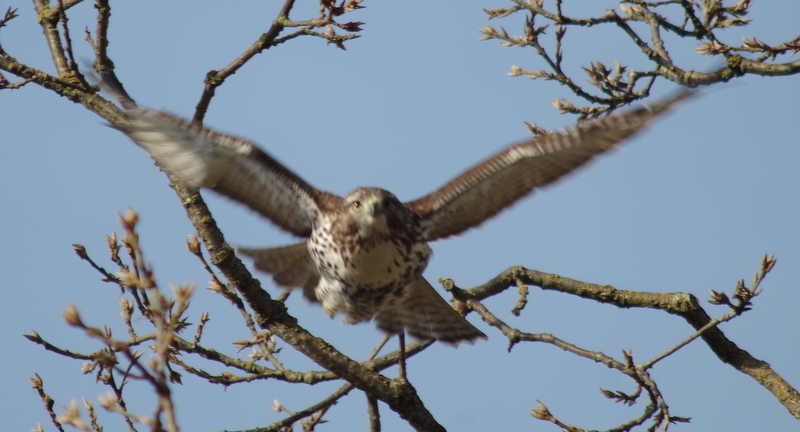 The Red Tail was sitting in a huge oak, and while we watched it took off and flew down towards us. Several hundred metres on we found it again, in a smaller tree. if only my camera could focus fast enough.. I was able to get closer the second time. The hawk stretched its claws for us. 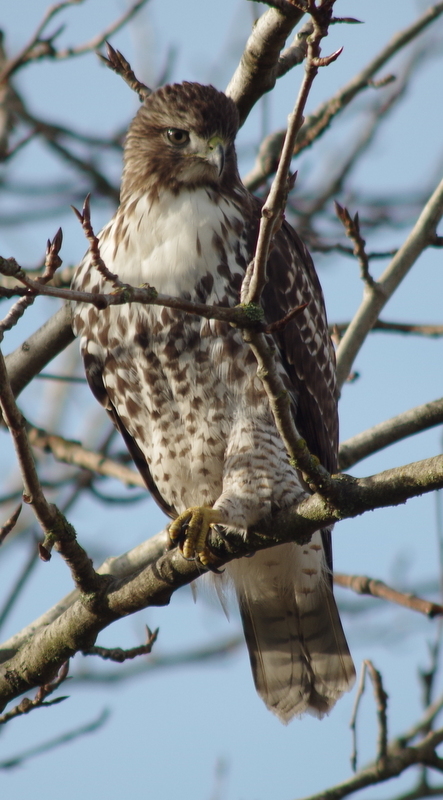 This Cooper’s was way up in a tree, and seemed tiny compared to the Red Tail. I saw this verse in the weekend paper, attached to an obituary. Something about it was familiar, and I remembered my father would occasionally recite these words. The line “dead men rise up never” must have burrowed into my brain. Perhaps my father told this to me at bedtime, thinking it was appropriate for a child to hear before sleeping. He was odd that way. It’s part of a poem by AC Swinburne, The Garden of Proserpine. In university we never read Swinburne, who must have been long out of fashion for being lyrical. We read Waiting for Godot, and The Hollow Men, however, which seemed to cover similar ideas in more avant-garde terms. My bet’s on Swinburne.